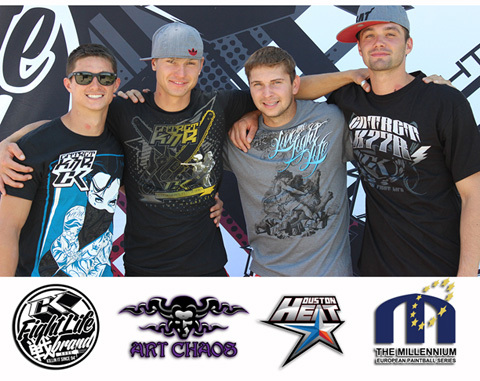 CK Fightlife is stoked to sponsor the European Millennium Series with their great events in promoting paintball. CK has sponsored the Millennium Series for 3 consecutive years and has sponsored such notable teams as Houston Heat, Art Chaos and notable Pro athletes like Nicky Cuba, Konstantine Fedorov and Zane Yachimic of Edmonton Impact. CK is happy to release new lifestyle apparel and technical wear for the professional athlete. New luggage and custom Luxes will be on hand through our distribution partnership with Germanys PAINT XTREME. The Millennium Series are pleased to confirm that the final event of our 15th Anniversary season will be held in Chantilly, Paris. Undoubtedly the most stunning backdrop to any event in the Paintball calendar, we are delighted to have again secured this beautiful location for our 2014 season. Perfect for families, close to many attractions, and a wide choice of accommodation lead to an ideal venue to host the finale of our 2014 celebratory season. Located only a 20 minute drive from Paris Charles de Gaulle airport, and 25 miles from Paris. Easily accessible by air, car, trains and RER. Close to many attractions, including Park Asterix. A unique historical location, which includes museums, libraries and a Chateaux. With the full support once more of the city, we are able to offer discounted hotel rates for all Millennium Sponsors, competitors and supporters. Please visit www.millennium-series.com/events.php?event=T4 for full accommodation details and travel information. The Millennium Series is committed to providing World Class events, to further help grow our sport and increase its profile. We bought Paintball out of the woods and into Arenas, and securing such a historical and high profile local venue for a second year, demonstrates the effort and motivation our team has in ensuring the best possible venues for our supporters. The Millennium Series is the longest established Pro Paintball Series in the world, not only with an unparalleled combined experience running paintball events but was also the first series to run as a professional sport on Sup’Air fields, the first series to run events in stadiums, the first series to run 7-man, the first series to run Race To Format, (both invented by The Millennium), and has continued to innovate and improve tournament paintball year by year. This has always been and continues to be the motivation and success of the series. 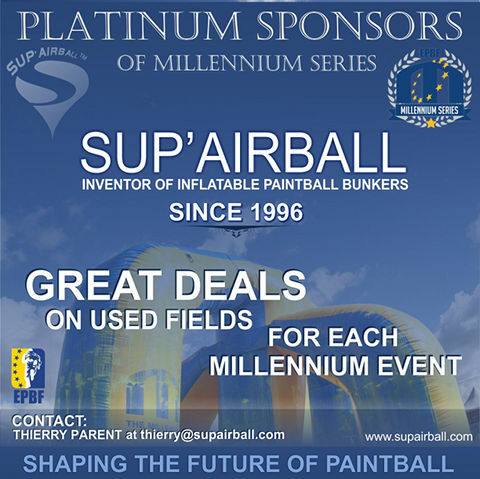 The Millennium brought paintball from the woods into the public domain of stadiums by using Sup'Air ball arena paintball. 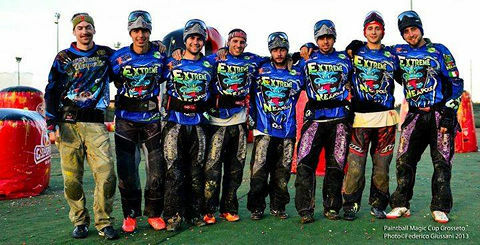 "Team Extreme Neapolis was born on 17th October 2010 at sports club Paintball Napoli Extreme. On the 24th October of the same year we had our first national tournament. In 2011 after playing 4 events of the Italian national championship we finished on the podium. In 2012 we started our international adventure playing 3 events of the European Millennium series and some of the CPS, to improve the experience of the team. During the 2012 season, the team was restructured as some of the Italian players left and the team didn't reach the Sunday club at Puget and Bitburg. So we took the chance to add to the roster some Austrian players. 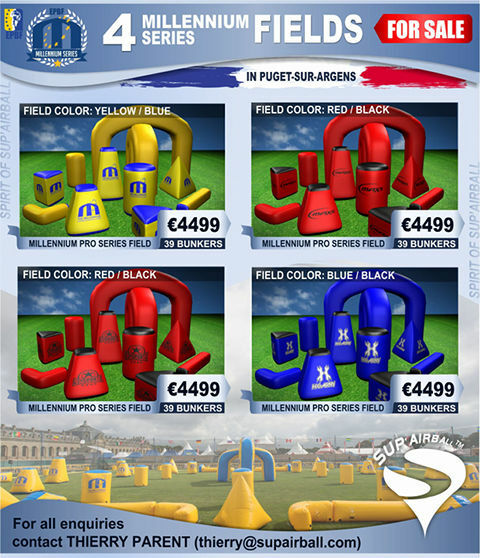 In 2013 the team was again competed in the Millennium Series within Division 2 and in the Italian Paintball Series (IPBS), achieving our best result of 4th place at Puget and going to Sunday Club at Bitburg and Chantilly. Even missing one event, the team finished 9th in the series ranking, which allowed the team to have the title of the best classified team playing only 3 events. In IPBS the team won 3 of the 4 events and closed the season in first place, losing only one game all season and classified within the top 40 in the EPBF ranking. With the collaboration of our main sponsor Magic Paintball, with a new roster, and our place within SPL2 for the upcoming Millennium events, we aim to have a great season!" 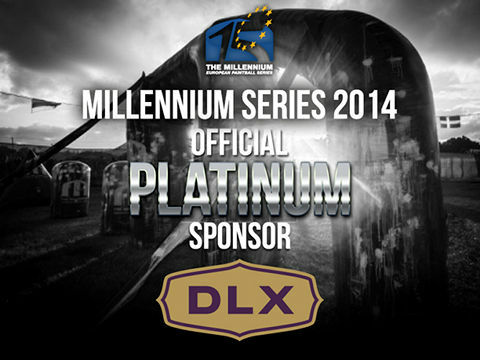 DLX Technology and GOG Paintball team up to support the Millennium Series as a Platinum Sponsor for 2014. 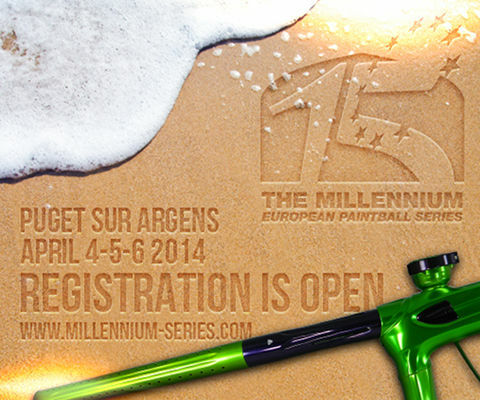 February 6, 2014 – GOG Paintball and DLX Technology are proud to announce that they have partnered in support of Europe’s leading tournament paintball circuit – the Millennium Series. GOG Paintball President Adam Gardner explains, "From the first timer shooting a field rental eNMEy to the world champion bringing home another victory with The Freak barrel kit, all of us at GOG Paintball realize that every paintballer needs one thing – good value. That’s why we are proud help make the Millennium Series possible, so the teams can get more – more competition, more prizes and more top of the line venues." 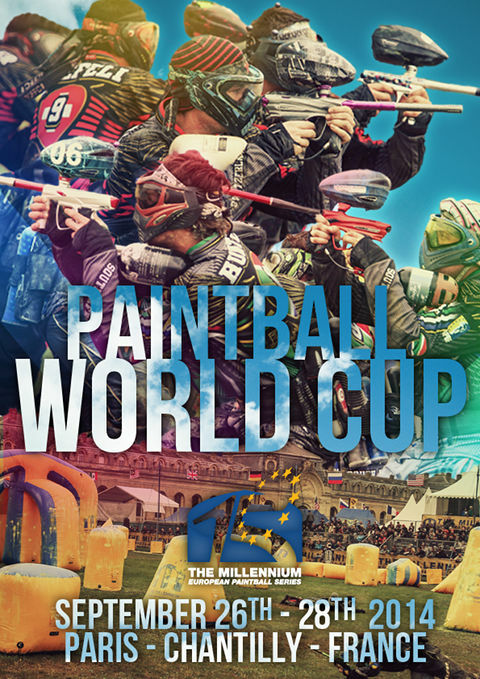 "I’ve played as a pro in paintball tournaments around the world," said DLX Technology Director Darryl Trent, "and there’s no doubt that the Millennium Series is top notch. We’ve built the Luxe to be the ultimate luxury paintball marker, so it’s a perfect pairing for us to support some of the world’s best events." GOG and DLX have joined forces to serve as a Platinum Sponsor for the 2014 Millennium Series tournaments beginning with the Mediterranean Cup at Puget-Sur-Argens through the European Masters at Bitburg and London’s Campaign Cup on to the season finale – the Millennium World Cup. GOG Paintball is a manufacturer and developer of paintball equipment obsessed with a single focus – providing paintball players the best value possible for their investment in the sport. DLX Technology is dedicated to melding cutting edge technology with solid tournament performance to build the ultimate luxury paintball marker. 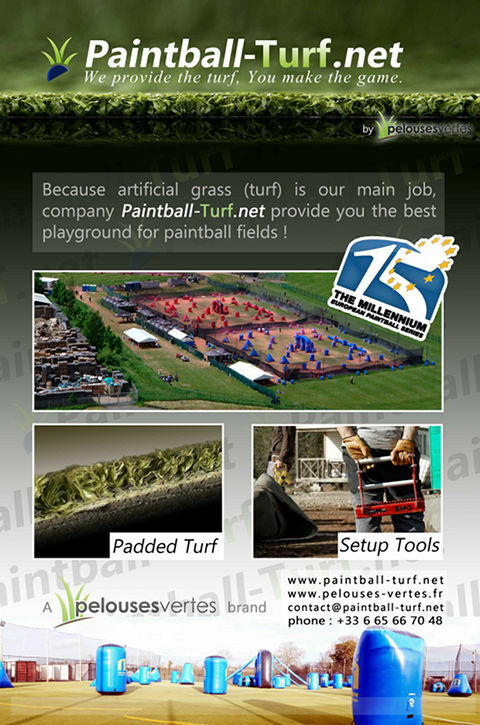 To learn more, contact DLX Technology Group at dtrent@LuxePaintball.com, visit www.LuxePaintball.com or find us on Facebook - www.Facebook.com/DLXTechnology. "With the unprecedented success experienced by London Tigers in 2013 ascending to the CPL after a string of successful Millennium events. It seems natural to assimilate some of the UK’s most talented individuals from a range of ages and demographics, into a functioning and performing feeder-team directed by the successful and distinctive style of paintball that London tigers have been known to produce. London Tigers second team have been synonymous with a Campaign Cup victory in 2009 and a second place at the same event in 2010, although transitions of players over the last four years have proved unfruitful for London Tigers 2. The London Tigers organization has wasted no time in preparing for a year of prospects for its potential and unmolded talent-bank of aspiring players, hoping to emulate that of the London Tigers CPL promotion of 2013. The London Tigers organization have expressed complete confidence in their hungry new players for the 2014 Millennium and CPPS series, entering the feeder-team into SPL2 of the Millennium circuit and the Elite division of the CPPS. These are bold statements being made by Owner Steve Wilson and Head-coach Mark ‘Twizz’ Dale, that the team is ready and able to compete with some of the best teams in Europe and the UK. With support from G.I. Sportz and Planet Eclipse and Cartel Media for the upcoming season, Tigers feel they are in safe-hands for a productive year. Tune-in to London Tigers on Instagram, Twitter, Facebook and Cartel Media to stay in touch with the inside-scoop of their training, tournament, and day-to-day endeavours." 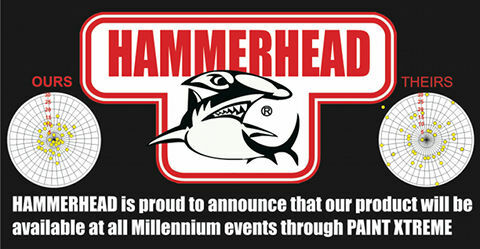 HAMMERHEAD barrels are the most advanced paintball barrel in the industry today. Gun-drilled from solid aluminum bar stock, and not tubing, we are able to hold extremely tight tolerances to produce the finest quality barrel possible. Our barrels are manufactured to exacting tolerances for accuracy, sound displacement and weight. Each barrel is carefully milled, honed and polished to ensure the finished product does not deviate from our engineering parameters. Our engineers under took the task of developing a barrel specifically designed for paintball to meet strict requirements. Existing technology could not meet these needs. Test results showed some of the same principals in the rifle industry applied to paintball but key differences existed due to the liquid fill and ball characteristics. Our rifling process is carefully done using the same process used to make military barrels. The rate of rotation, the depth of rifling, the precise number and dimensions of widths of lands and depth of rifling has been carefully selected after many hours of testing to perform better than any other barrel on the market. Our goal through our patented combination of sizers, rifling, porting and muzzle design is to leave you with an unforgettable paintball experience. Degree of twist of the rifling is critical to accuracy. Accuracy and downfield sound transmission is positively effected by reverse porting. Reverse porting is critical for proper ball regeneration. Paint quality is less sensitive to a rifled barrel. Ball grouping improvement is achieved with lower standard deviation.